Early Voting with Beto O'Rourke. U.S. 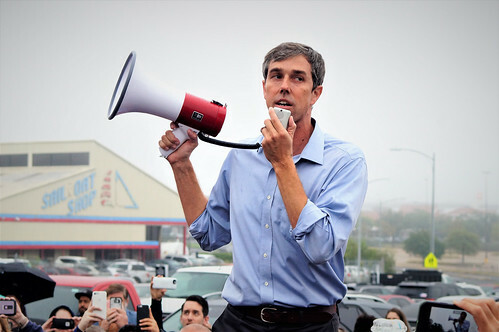 Congressman(D-El Paso)and U.S. Senatorial Candidate Beto O'Rourke leads a group of four hundred supporters to the early voting polls at Austin Community College in Austin,Texas on 10/24/2018.The candidate had lost his voice and was forced to use a loud hailer to address the crowd of mostly student supporters. Contact Globe Photos LLC or the photographer for usage.